ProTruss design and manufacture a range of truss, hook clamps and couplers suitable for a wide range of rigging applications. All products comply with national and international regulations for safe work practices. ProTruss offer a wide range of versatile and reliable products used for the installation of audio, lighting and video equipment. Renowned as reliable and trustworthy, ProTruss products are used by rental companies, stage fitters, designers and architects to name but a few. 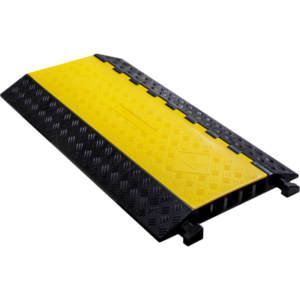 A range of cable crossing ramps in a range of styles, with non-slip closing panel and maximum ground grip base. 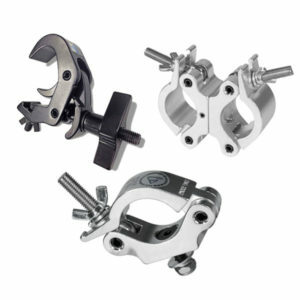 We supply a full range of ProTruss Hook Clamps & Couplers. Please contact our Sales Team who will be happy to offer pricing and advice to find a solution that meets your requirements.